Adidas and USA Volleyball have signed a “multi-year” partnership for the sportswear giants to sponsor American teams and events at all levels of the sport. The two bodies will also collaborate on marketing initiatives at grassroots events, including at junior level. The partnership is beginning for the 2017 season. No precise length or financial figure has been announced. 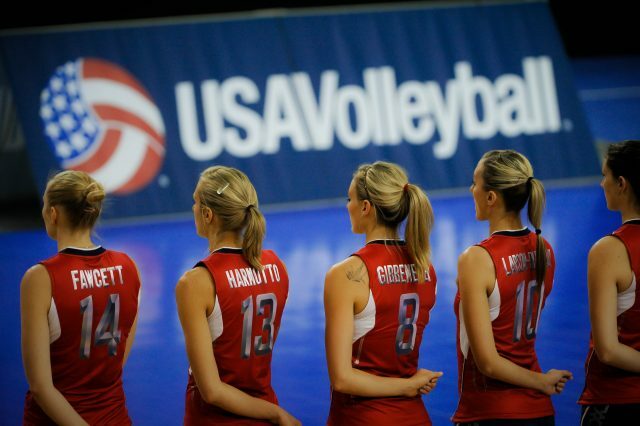 “What I love most about USA Volleyball is the organization’s passion for the game and its dedication to making the sport more accessible for everyone,” said Mark King, Adidas North America President. “National teams provide a great sense of pride and energy. “Every four years at the Olympics, we see one of the greatest demonstrations of human potential when the USA Volleyball teams compete. “The amount of preparation and hard work that happens between is equally extraordinary. Senior, junior and youth indoor teams will be supported as well as the beach and Paralympic programs. Rising US star Lauren Carlini has also been signed up as the “face” of Adidas volleyball to take a leading role in marketing campaigns. “USA Volleyball is extremely proud to be partnering with Adidas as its official apparel and footwear sponsor,” said Jamie Davis, USA Volleyball chief executive. “With volleyball on a roll being the number one women’s NCAA (National Collegiate Athletic Association) and high school participatory sport and fastest growing boys’ high school team sport, Adidas is the perfect match with its innovative performance offerings. Both the male and female US indoor teams claimed bronze medals at the Rio Olympics. Kerri Walsh Jennings and April Ross also secured a third place finish in the women’s beach event on Copacabana Beach.